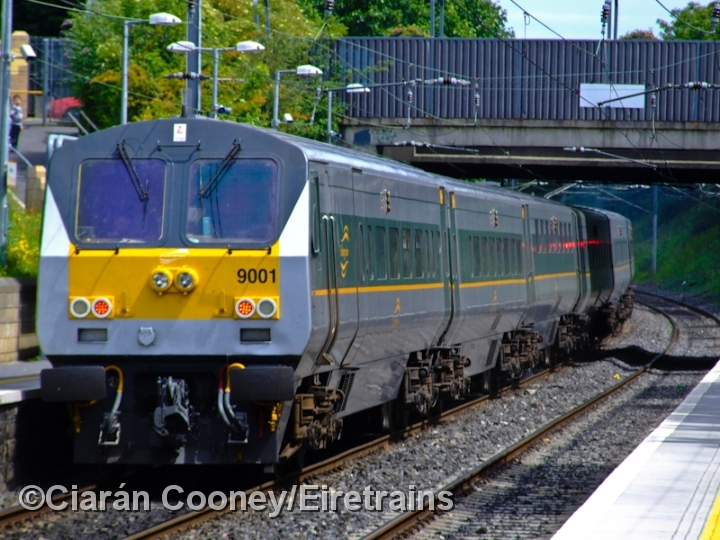 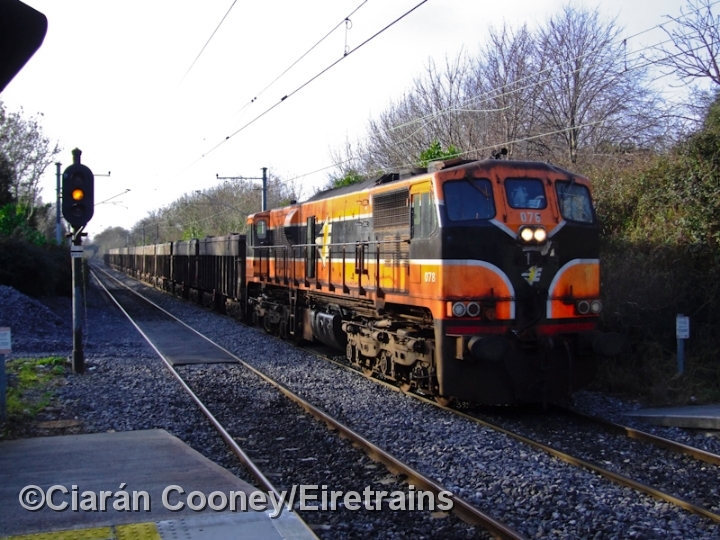 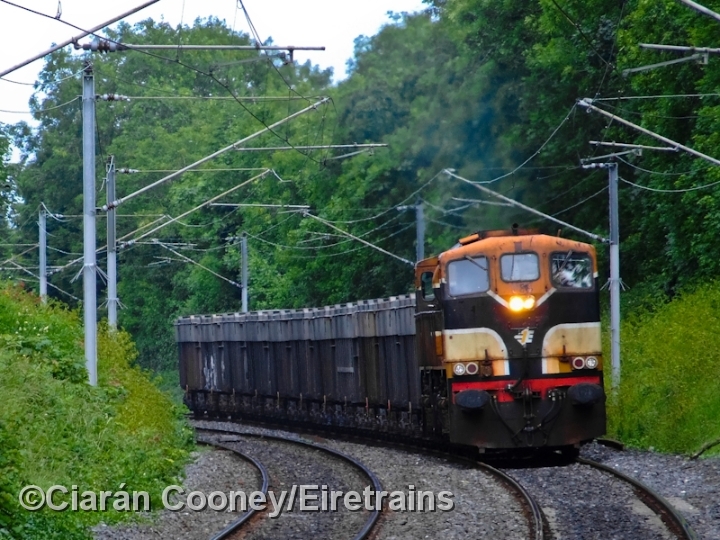 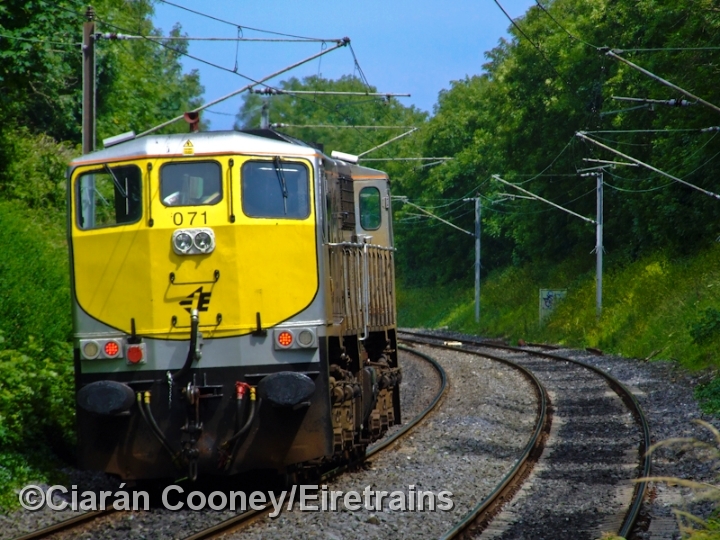 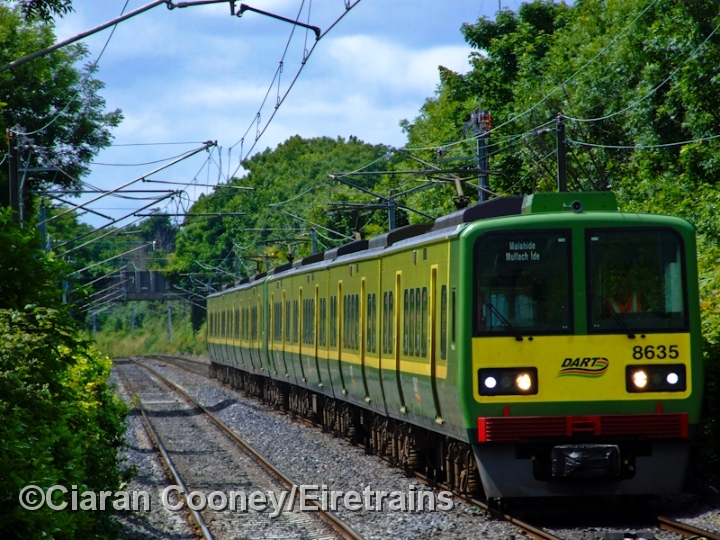 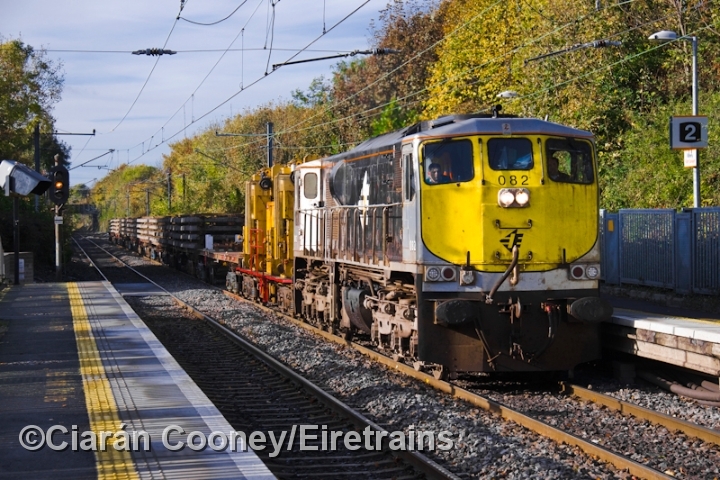 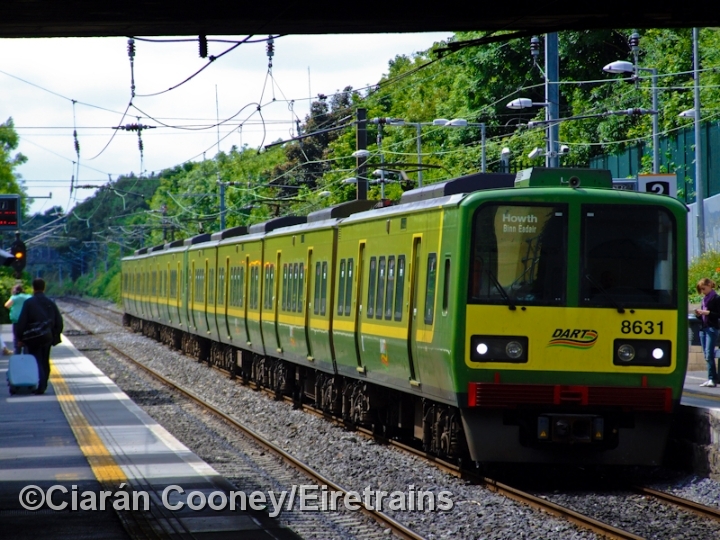 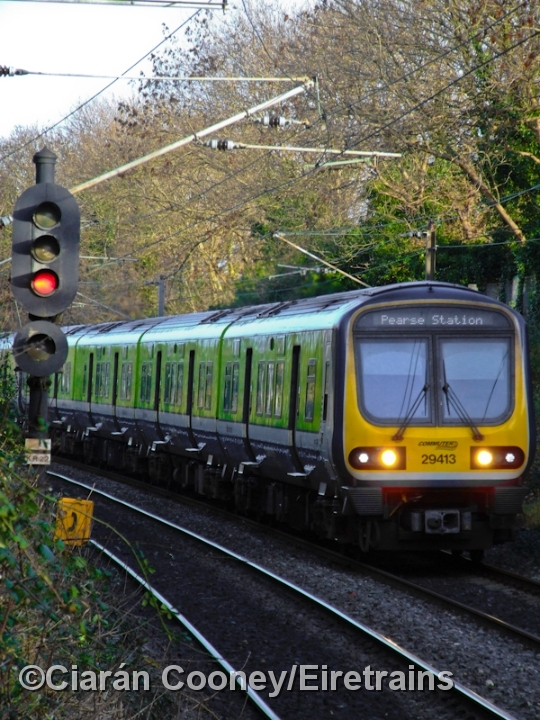 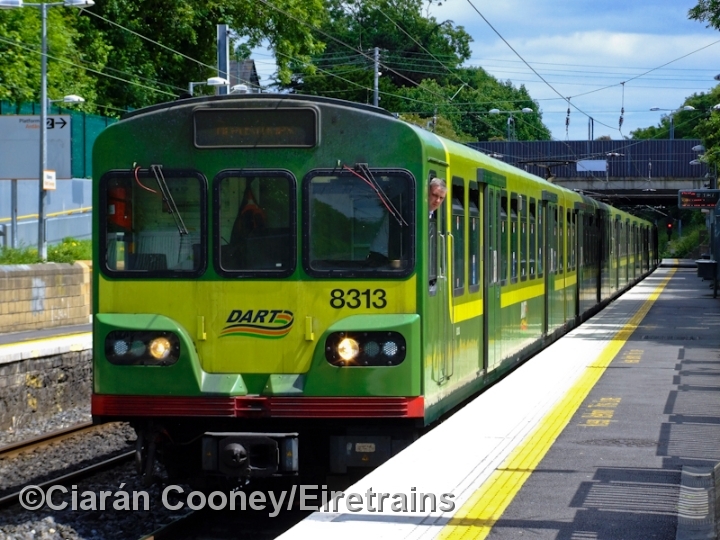 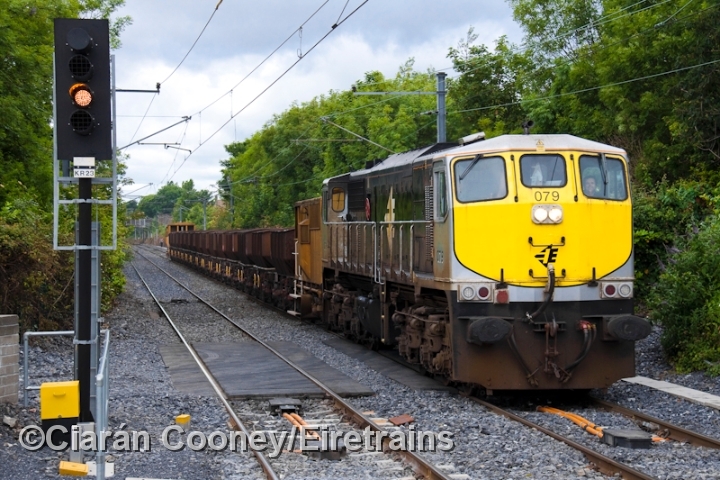 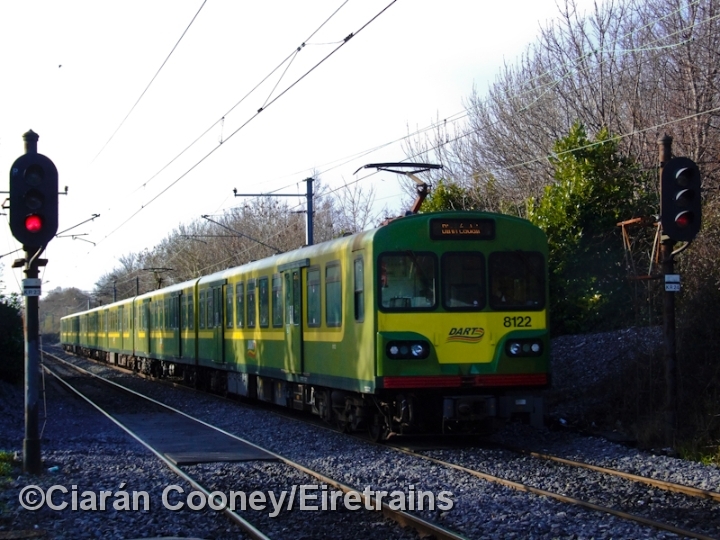 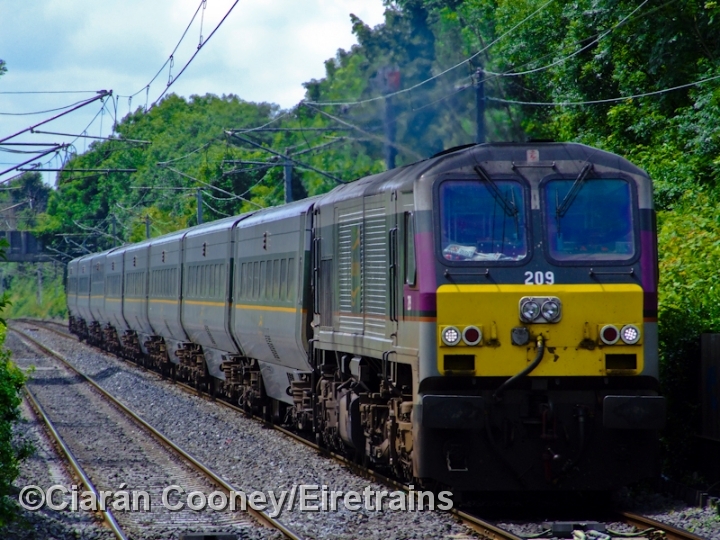 Raheny, in Dublin's northern suburbs, is located on the main Dublin to Belfast line, and was one of the original Dublin & Drogheda Railway stations to be opened with the line to Drogheda in May 1844. 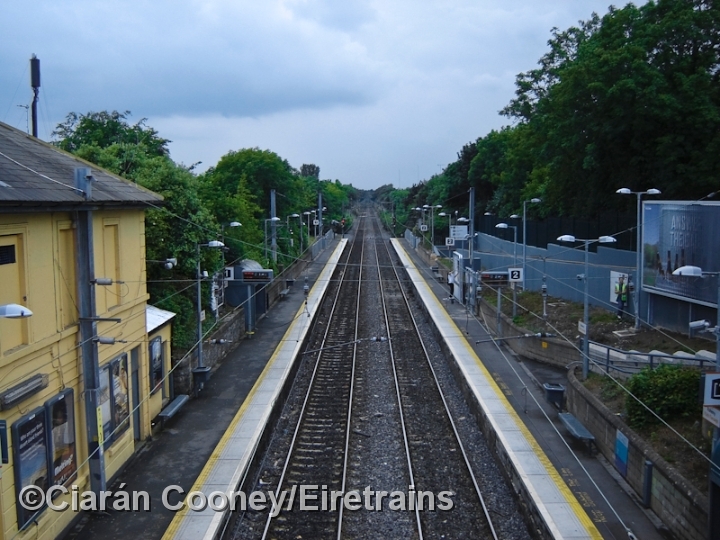 The main station building, no longer in railway use, is located on the down platform. 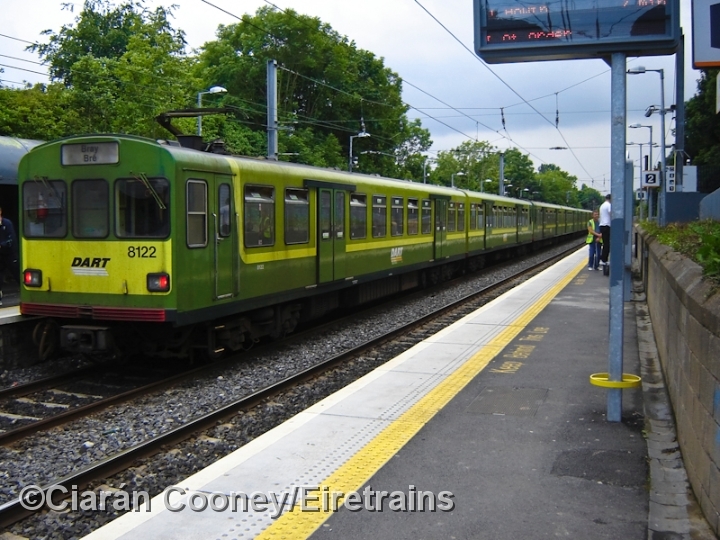 A 1983 built booking office is located at street level, and was opened with the introduction of the electrified DART services in 1984. 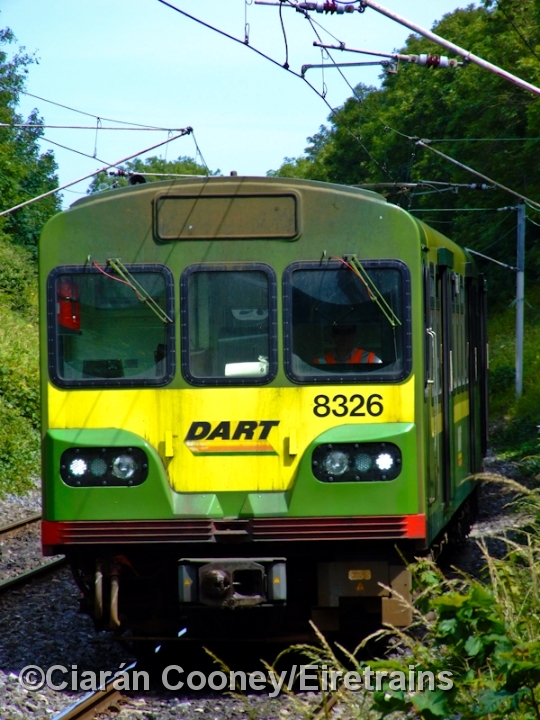 In recent years, DART upgrading has resulted in the platforms been extended further at either end of the station, with a new concrete ramp constructed on the up side of the station. 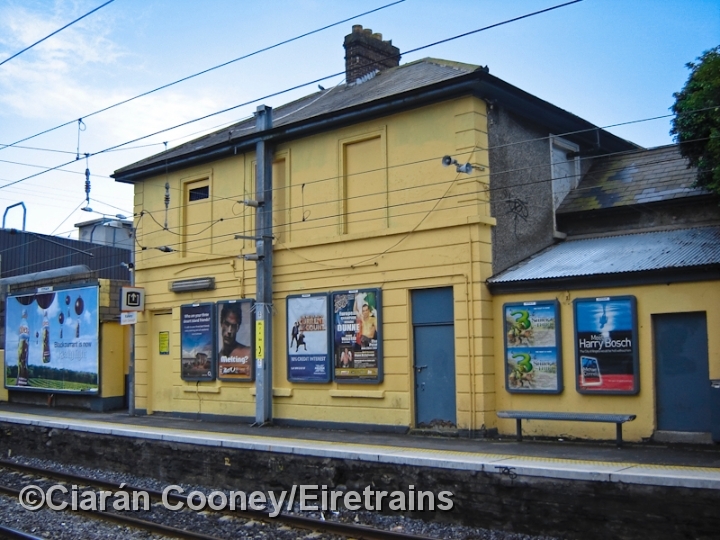 There was once a signal cabin at the north end of the station, but was removed in 1926 by the Great Northern Railway.